Unless you’re a part of the interior design and decorating world, you probably haven’t heard of the One Room Challenge. Every April and October, twenty design bloggers take on the challenge to completely transform a space in only six weeks. They document their process weekly via their blogs, and Wednesday was the final reveal! 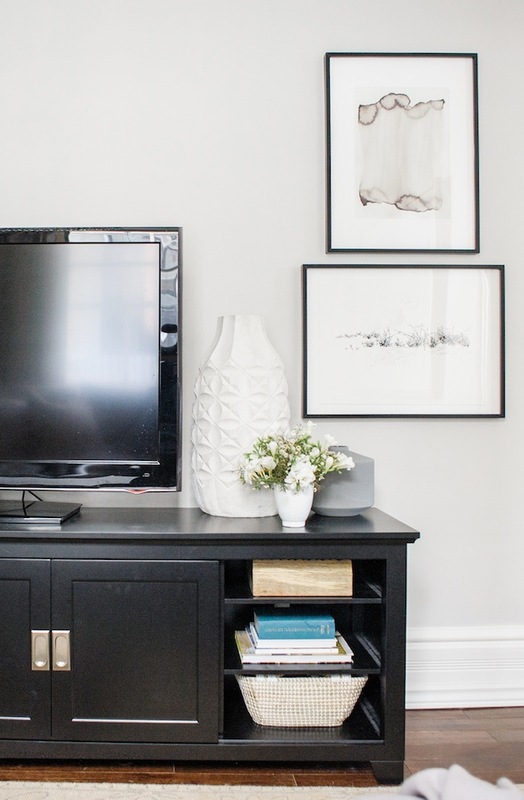 This round definitely had some winners and today I thought I’d dissect a few of my favorite spaces and highlight some design techniques that you can try in your own home. House Updated completed an entire master bathroom renovation and it’s gorgeous! I love the wide sink bowl with double faucets. If you don’t have room for a longer vanity with two sink bowls, this is a perfect solution. A glass shower can completely open up a small bathroom and help it look luxurious rather than cramped. Next is Rambling Renovators. I just love Jen’s new traditional style. 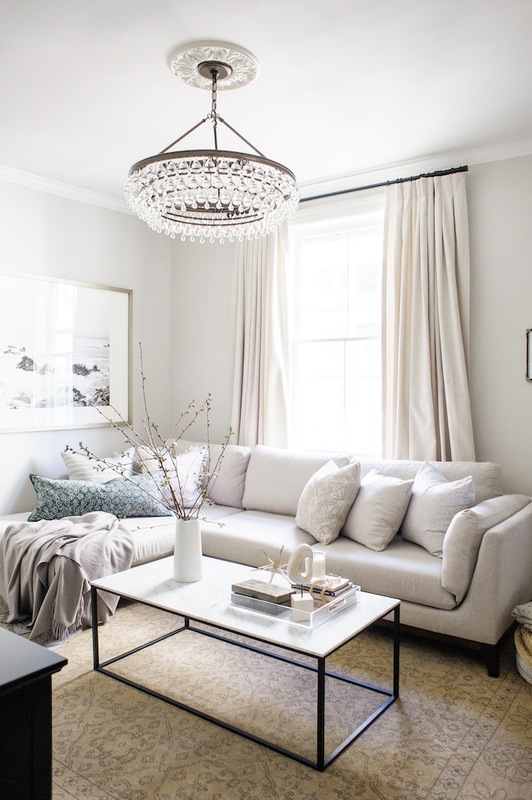 She painted everything (mouldings, fireplace and walls) in the same clean, bright white and it really helps keep a more traditional space feeling fresh. I also love the built ins and window seat. The shelves add so much depth and interest to the space and the window seat offers extra seating or a spot to curl up and read. The decision to use roman shades instead of draperies draws the eye to the beautiful mouldings and trim work and adds to the modern feel. Another favorite of mine is Lark and Linen. Can you believe this soothing, beautiful space is a hang out room with a tv and sectional? Of course, the sectional is sleek and streamlined and doesn’t look like marshmallow fluff like some sectionals. I love the shape! I think the neutral, textural palette keeps the room sophisticated as well. And that chandelier definitely takes things up a notch. So. Gorgeous. Small room tip: The open design of the coffee table helps to open up the space as do the visible legs of the sofa. I’m not a fan of hiding televisions. I think the less clunky solution is the easiest. The TV here is the same color as the media cabinet which helps is to visually look like one piece. The simple, round shapes of the vases contrast with the hard lines of the TV and help to soften this whole wall. Wanna see more ORC spaces? Head over to Calling it Home for links to all of the participant’s blogs. Enjoy the eye candy! Thank you so, so much for highlighting my space Michele – I really appreciate it!! I'm Michele Wesdock, founder of Moonefield Interiors in Smithfield, VA. I collaborate with my clients to design warm, thoughtful spaces that reflect the unique needs and personalities of every family. My goal is to help each client realize their own vision and create a relaxed, stylish space that functions beautifully. Let's connect!